By Michael Drapkin. 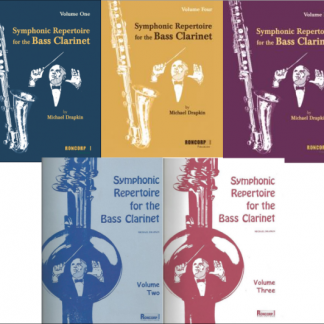 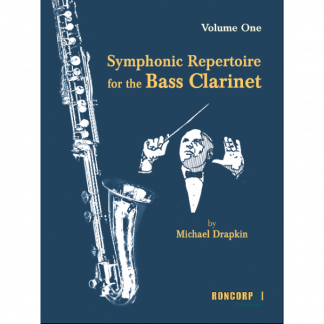 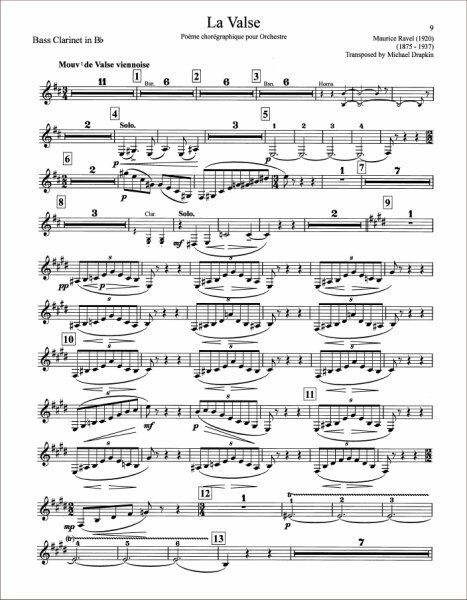 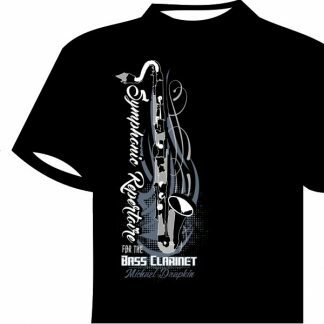 Two new volumes of performance-ready major repertory bass clarinet parts, transposed from Bass Clarinet in A to Bass Clarinet in Bb, treble clef. 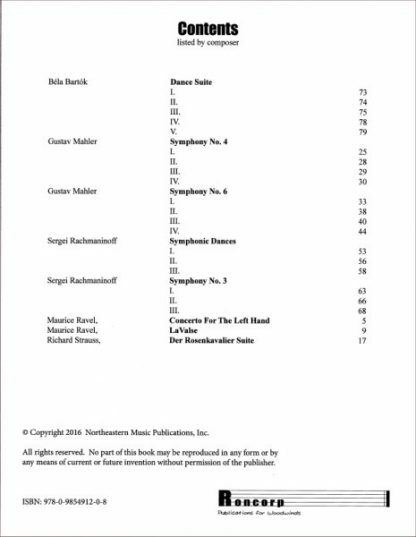 These volumes have been tested in 53 professional orchestras in the US ranging from the New York Philharmonic to the San Francisco Symphony, and internationally in countries ranging from Scotland to Switzerland. 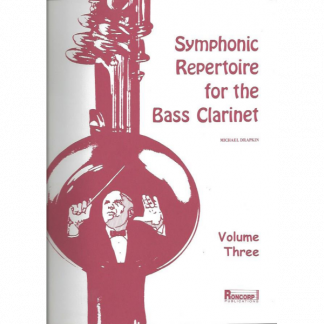 Book is bound so that it lies flat on your orchestra music stand. Volume Five: Includes eight parts written by Bartók, Mahler, Rachmaninoff, Ravel and Strauss.